Hello and welcome to our blog .... well it is that time of week again when my CCEE Stamper friends and I get together to do our challenge for the week ... well we can only get together here online as we all live in different countries or states ... wouldn't it be fun if we could really get together to do our challenge ... maybe one day! This week our challenge is a supply challenge ... this is the challenge we should have done last week ... but seeing our packages didn't reach Australia and Canada in time we swapped the challenges around. For this challenge Tosh sent us all some designer paper and a pack of pearls as you can see below in the picture below ..... we did get more than the piece shown here but as it was all the same I only included the one piece ... although it is double sided ... the other side being plain pink. 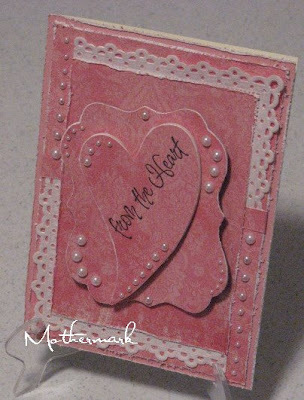 For those of you who enjoy playing along with our challenges each week ... maybe you can create a card using some pink designer paper ... and if you have pearls you could also incorporate those in your card. Don't forget to come back here and leave a message so we can see your creation, and if you upload it to SCS ... the keyword is CCEEC. 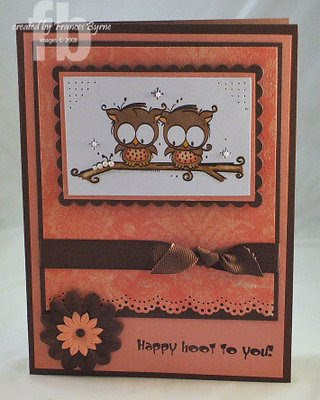 My card was made for Roseanne (SCS/Sumtoy) who lost her mother last week. OMGosh ... these cards are ALL GORGEOUS!!! I have "the goods" and hope to play later! Sounds like fun ... wow, great samples!!! Tosh! Thank you so much for the wonderful supplies! Look at the great cards everyone made with them. Those supplies were so *you*. I loved working with them. Everyone's cards were so pretty! Good job everyone! very interesting to see all the different styles and layouts with the exact same paper!! everyone's personalities really show thro!! PS Do you KNOW what tomorrow is.......???? hehehehehe SCHOOL!!! Thanks, Tosh, for the gorgeous supplies! Everyone's cards are so beautiful! I'm back with my creation!! Thanks so much for the great challenge ... I always enjoy what you ladies do!!! 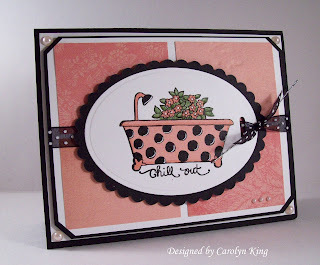 Here it is: http://www.splitcoaststampers.com/gallery/photo/1040252?cat=500&ppuser=95678. Hope you like it!! Ladies - you have totally inspired me...thank you!! !